You know what? I’m not going to even talk about them that much because I may just faint from the amount of unrealistic thoughts that’ll run through my head of me owning a pair of these. In fact, my thoughts will probably be running with them on as well. The September 2009 Boot is made from an antique leather. As mentioned previously on the Lodger blog, the leather in this boot was made in a tannery that closed down more than 20 years ago. The operations of this Eastern European tannery were picked up by another tannery that also ceased operations around in the last 10 years. The leather was popular in English shoemaking in the 1960′s and 1970′s, but hasn’t been used in a very long time. We have found a parcel from the original manufacturer that has been carefully wrapped in a shed in Northampton since the second tannery closed down. It is made from an African antelope called Kudu, and tanned in a unique way. The raw hide is shrunk to make it tighter and tougher, then tumbled to bring up the natural texture of the leather, and finally treated with a light embossing that further highlights the rough grain of the Kudu. The boot is an 8 eyelet brogued style, that has a skeleton lining of the same Kudu leather as the upper, and a full lining in a plush purple velvet from Scabal. It’s offered in two colours, a warm grey version that looks like an old work boot, and a distinctive tan version that is rather distinctive (available online soon). A truly limited edition! I’ve only just recently heard about London-based Lodger and have never actually seen their wares up close but already I’m certain that their craft is impeccable. 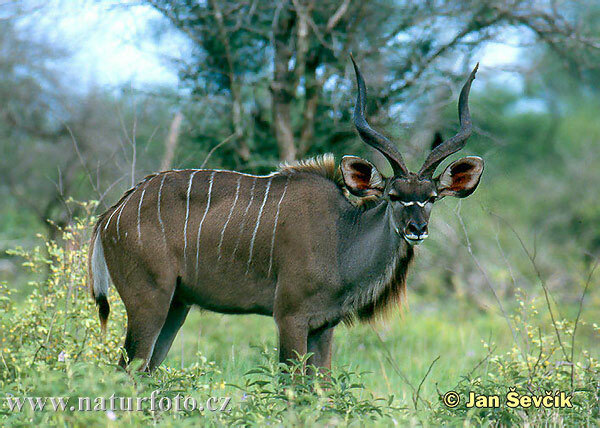 I mean, c’mon, Scabalo velvet lining and African antelope leather…( by the way, this is a kudu). Visit the Lodger website for more great shoes and more views of this month’s spectacular offering. I want to vomit and jump off a cliff.